Match.com has prompted anger after forcing bisexual customers to pay double the rate of gay, lesbian or straight consumers. Ben Ramsdale, current president of Liverpool Hope’s student union, was alarmed when a Match.com subscription provided only a choice between searching for men or women, and nothing in between. Dissatisfied with the options, Mr. Ramsdale sent an email to the customer service department inquiring as to whether it was a deliberate slight or simply something that had been overlooked. The response was less than ideal. Though Match.com were extremely apologetic, the only possible way to search both databases is through the purchase of two separate subscriptions. This would be at cost to Mr. Ramsdale – totaling £60 a month. Ramsdale told Subversive Press that he felt the policy was discrinatory, saying: “It is disgusting that a site which says they just want people, anyone, to find love would think it’s ok to discriminate against bi people. Either they are discriminating or they are just incompetent enough not to realise they are. A phone call to the company revealed that this was standard policy, and that there was no one higher up the chain the student union president could discuss his problem with. Though he offered to sign up for both subscriptions if they would waive the fee on one of them, he was still told that this was impossible. His only choices were not to sign up at all, or pay an extra £30 per month for what amounted to an extra search function. 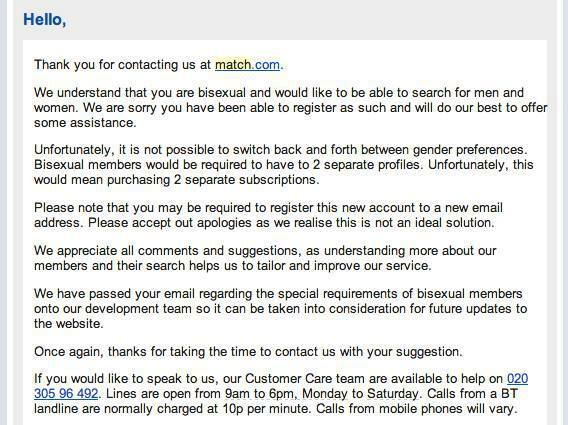 Undoubtedly, Match.com’s customer service representatives have changed since 2006, but it is very telling that in the time that they have completely remodelled their site and provided a different method of signing up and completing a profile, they have still not managed to see to the needs of bisexual consumers. Further accounts by online bloggers have made it clear that the rejection of Ben Ramsdale is not an isolated incident. 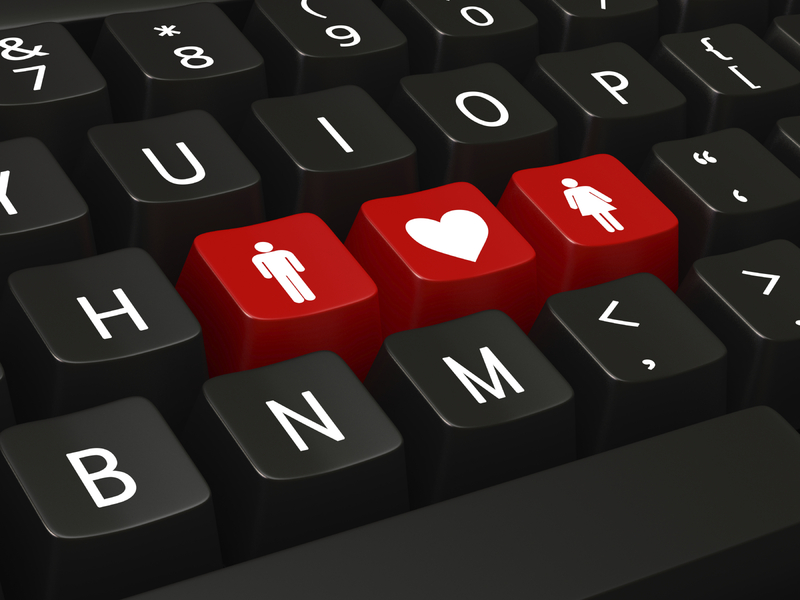 Match.com has options on how to change, and Mr. Ramsdale provided a few for the benefit of their customer service team. Match.com has not responded to our requests for comments at this time. Although I completely sympathise with Ben’s situation, he has to look at it from the company’s perspective. In no other market would you expect the company to provide twice the product for the same price. Except, in this example, other people’s profiles aren’t a product. What’s being paid for is an opportunity for you to find/be found by a suitable “match”. Besides, the fact that bisexual people like people of both genders is hardly relevant, as it’s likely that the number of people who they would consider suitable wouldn’t be all that different.Think about it – how many of the profiles available to a straight or gay person will they ignore because they aren’t attracted to them? Bisexual people have preferences too, and probably more limiting would be the fact there will be a lot of people who wouldn’t want to date someone who’s bisexual. If match.com wants to insist on having only one gender’s profiles available regardless of sexual orientation, it should be called profiles-of-a-single-gender-of-your-choosing.com, which is significantly less catchy.